More than two weeks after Hurricane Maria ravaged Puerto Rico and the U.S. Virgin Islands, technology companies are mobilizing to help reconnect and rebuild the island's decimated infrastructure. 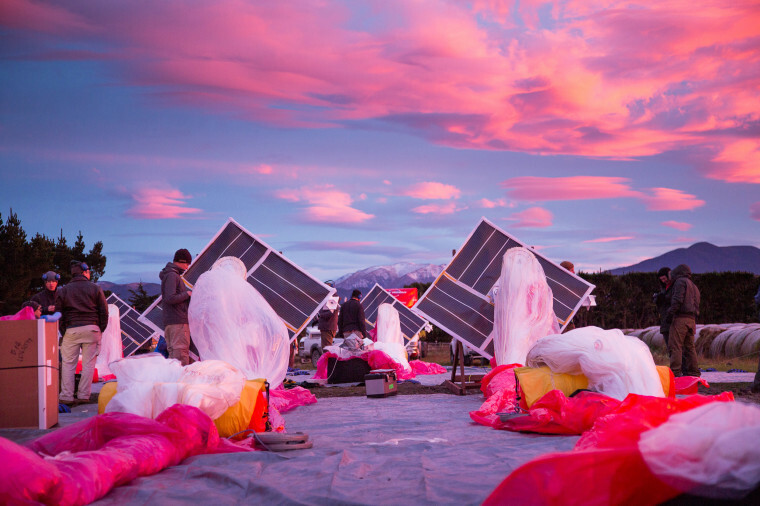 From Wi-Fi-enabled mega-balloons to connectivity teams on the ground and solar energy, some of the biggest players in the tech industry are moving swiftly to help the island territories rebuild. Elon Musk's mission to save Puerto Rico all began on Twitter with a simple question about whether his company was capable of re-building the island's power grid using solar energy. "It can be done," came his response. With nearly two billion users, Facebook has the unparalleled ability to gather data to help drive relief efforts and reunite families. Facebook's safety check feature had its first major deployment in 2015 after an earthquake in Nepal. Since then, it was used dozens of times for people to check in after a natural disaster. It's since been expanded to include mass shooting events, terrorism, forest fires, and during large protests. In the case of natural disasters, the data can help aid organizations identify needs in certain areas. In June, Facebook began sharing anonymized and aggregated data with the Red Cross and other aid organizations. This allowed humanitarian groups to see where people where checking in as safe and where they may be moving after a catastrophic event. "After Hurricane Maria, this data was an important layer in helping the Red Cross to identify population centers in need of power and connectivity," a Red Cross blog post said. The team was able to use data about mobile activity before a storm and compare it with what Facebook was seeing after a disaster had hit. This allows them to see where people have power, a vital need for charging phones and reaching the outside world. However, Facebook found itself in the middle of a storm of its own after a Facebook Live on Monday, where Zuckerberg took the opportunity to demonstrate the company's progress with virtual reality, exploring the devastated island with Rachel Franklin, his head of social VR. On the journey, his grinning, grey-t-shirted cartoon avatar hovered in front of desperate residents in search of fresh water and traveled past shattered structures while the billionaire described the trip as "really magical" and high-fived Franklin. He was swiftly taken to task on social media for this "voyeuristic tourism" and seeming insensitivity to the impending humanitarian crisis the island territory is facing. "Is this a joke? The Puerto Ricans are suffering and you are using our tragedy for this??" wrote one detractor on Zuckerberg's page. Zuckerberg responded to critics on Tuesday.